Thank you to all the poets who sent us work during last month's submission windows. Although statistics have little to do with individual poems and poetry collections, an initial scan of the inbox reveals roughly two thirds of those who submitted are women. Also, roughly two thirds of those who submitted are based in the West Midlands. We will now be reading all the poems and considering these submissions in detail. Our aim is to send initial responses out to everyone by the end of October. Thank you again to everyone who submitted. 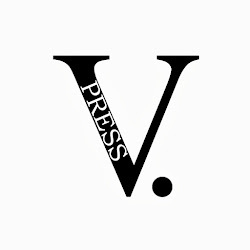 Hot-off-the-press news this morning about V. Press poets headling at a festival event this summer. 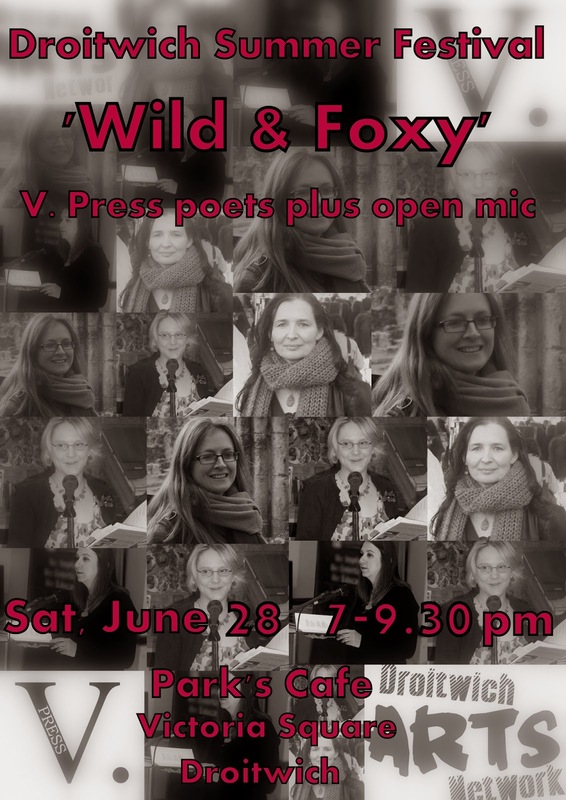 Following on from the success of last year's the Vs performance at Ledbury Poetry Festival, V. Press poets will be reading in a new 'Wild and Foxy' festival showcase. This free live lit evening at Park’s Café on Saturday, June 28 is part of this year’s Droitwich Summer Festival line-up. The Droitwich Art Network (DAN) spoken word event will be headlined by V. Press poets Catherine Crosswell, Jenny Hope, Ruth Stacey and Sarah James, with Guest Poet Antony Owen. The four Worcestershire V. Press poets will be dishing up a range of poems for a range of tastes, revealing the theme’s literal and metaphorical flavours. From nature and wildlife to poetry that’s a little more saucy, the evening will feature a small sample from the group’s V. Press anthology, as well as new performance work and poems from their individual collections. Meanwhile, this year is the centenary of the start of World War I and Coventry's Antony Owen will be bringing the wild side of war and urban life to the live lit event.. The night, which runs from 7pm-9.30pm, will also feature an open mic section, where other writers, or acoustic musicians/singers, can share their interpretations of ‘wild and foxy’ (though please note, not too much sauce!). These slots (of six minutes maximum) should be booked in advance by emailing DAN secretary and event organiser Sarah Leavesley on lifeislikeacherrytreeATyahooDOTcom. A limited number of 6-minute (maximum) open mic spots will also be available on the night. Please arrive early to sign up for these. Food will be available. Please contact Park’s Café on 01905 776 633 to reserve a table at the resturant in Victoria Square, Droitwich. There will also be the chance to buy books by the four poets and get these signed.